Puppet shows enjoy a long tradition in the Czech Republic, and the National Marionette Theatre in Prague is the foremost puppet theatre in the country. Its repertoire features puppet versions of Mozart's famous "opera of operas", Don Giovanni, and the enchanting story of The Magic Flute. Both are extraordinary productions, employing life-size puppets clothed in period costumes, performing on 18th century stage sets. Occasionally the National Marionette Theatre also puts on a Puppet Gala Performance, which is a lively mix of the puppeteers' finest works. In marionette theatre the story is recounted visually, with little or no spoken words. This makes the shows ideal for an international audience, suitable for adults and children. Visitors often attend the shows with low expectations, but at the final curtain they express genuine admiration for the theatre company's work. 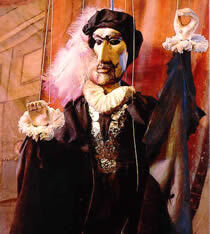 The master puppeteers' creations are true gems of artistic craftsmanship, and the stories they play out are enthralling. The National Marionette Theatre is fairly small and not too luxurious, but its quaintness only adds to the authenticity of its performances. Other puppet theatres have sprung up, often with similar names, but there is only one original. And Prague Experience only sell tickets for the original National Marionette Theatre (it is by far the best). The National Marionette Theatre is located one minute walk from the Old Town Square.